Some solar companies have insisted on having wide access to remote and intact desert habitat to build new solar facilities, lobbying against land management policies that would restrict industrial-scale energy development on lands of ecological importance. 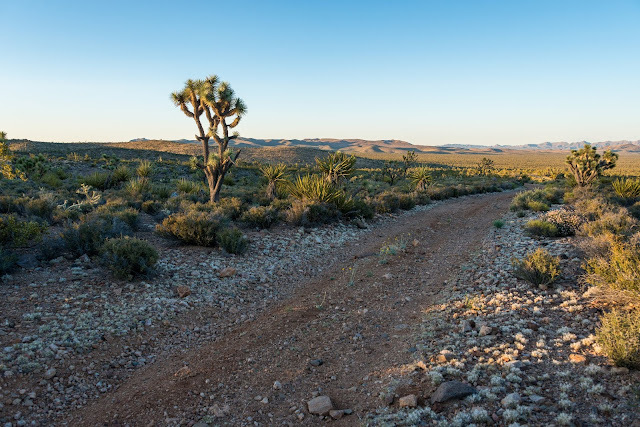 The Bureau of Land Management and California Energy Commission have rejected requests to analyze disturbed land alternatives for projects being proposed for intact desert habitat, sometimes citing the difficulty companies have in acquiring private lands. But hundreds of megawatts of solar energy development are proposed or being built on already-disturbed lands in private ownership -- typically on agricultural land -- severely undermining the assertion by the industry and its proponents that the destruction of public lands is necessary to generate solar energy. 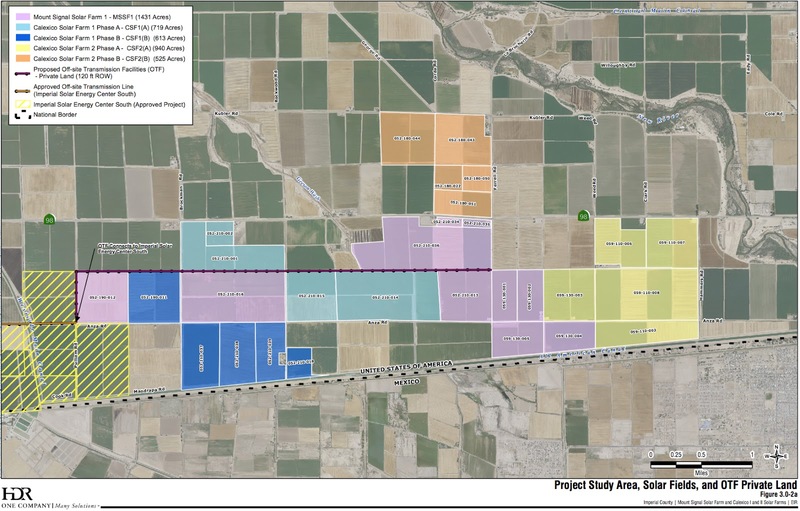 In the latest news, SunPower is set to build a 579 megawatt facility in the Antelope Valley on nearly 7.4 square miles of agricultural land, financed by Warren Buffett's company, according to ReWire. 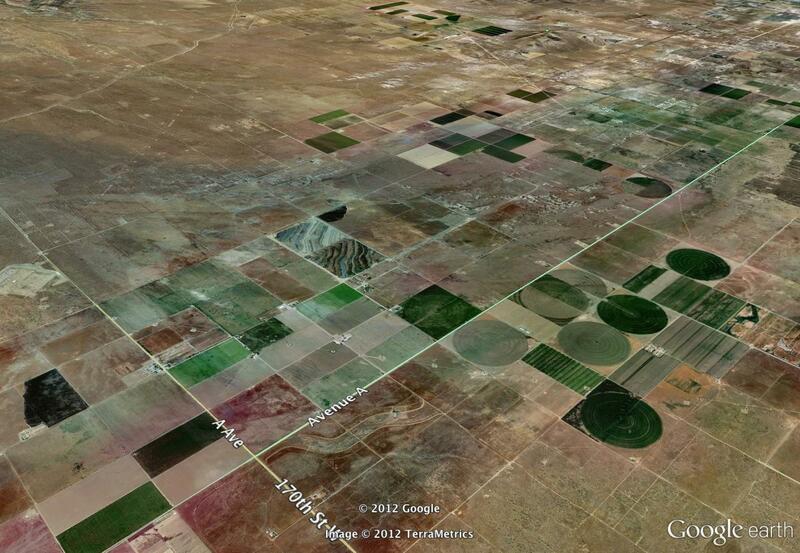 SunPower's Antelope Valley Solar projects would be built across much of the agricultural lands shown above. 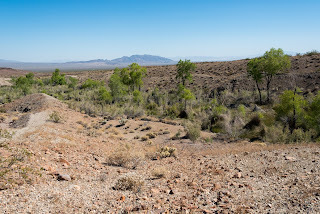 Agriculture (and later, suburban sprawl) in the west Mojave converted vast swaths of desert grass lands and creosote bush scrub habitat in the last century, replacing the fields of wildflowers that would attract visitors from the Los Angeles basin each spring during the early 1900s, according to Richard A. Minnich's California's Fading Wildflowers. A good article in the Desert Report highlighted the drawbacks of solar replacing prime farm lands, however, and they are concerns that should be considered by the industry, and the governments considering their approval. Nobody should dismiss the industrialization of any lands as an insignificant matter -- I have seen so-called "green" publications wrongly dismiss community complaints about both large-scale solar and wind as selfish NIMBY-ism, but who wants to live across the street from a power plant, or in the shadow of a 420 foot tall wind turbine? It is not environmentally just to turn a blind eye to the problems that can come with such industrialization, such as fugitive dust emissions, hazardous material and glare involved in some solar technologies, and effect on property values. But from a conservation standpoint, both agricultural and energy development are human uses of the land. While agricultural land certainly can have some value to wildlife, it is still desert habitat that has been converted for human use. Mowed, tilled, fertilized, sometimes doused with pesticides, and irrigated with water diverted from ancient aquifers or the Colorado River. The economy built on this once-intact desert land now feeds millions, and supports local jobs and livelihoods. We have converted a natural landscape to meet human needs. Which human need will be met by this converted land will be decided by local debates, but the value of intact habitat has already been discarded no matter the outcome. This map shows the expanse of 8minutenergy's various solar projects in the Imperial Valley being built on farm land, although the transmission interconnection will cross desert habitat. The company has plans for nearly 800 megawatts of solar projects on agricultural lands in the Imperial Valley -- that is roughly equivalent to the power to be produced by desert-destroying projects in the Ivanpah Valley. From a personal perspective, I like clean energy that is not on desert habitat, and I like the food farm lands provide. I don't want either to be a burden on the wildlands I love, or the communities that host them. However, the threat of energy development on desert wildlands is more deleterious than it is to agricultural lands. Desert habitat takes decades to "restore," and some shrub cover may take centuries. Wildlife corridors and foraging habitat can be lost, and genetic diversity of imperiled species can decline. 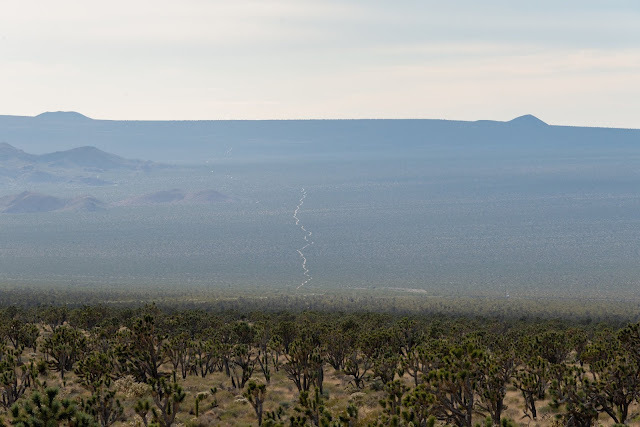 A single solar facility in a remote desert valley will alter the wild qualities of that view for a long time. At the end of the day, though, solar energy on disturbed lands or on desert habitat are not the only two choices we have to combat climate change. This is why rooftop solar and energy efficiency are the most efficient and least offensive means to combating climate change. If we can generate clean energy on our rooftops, we destroy less desert, we convert less farm land to another use, and we need less transmission lines.